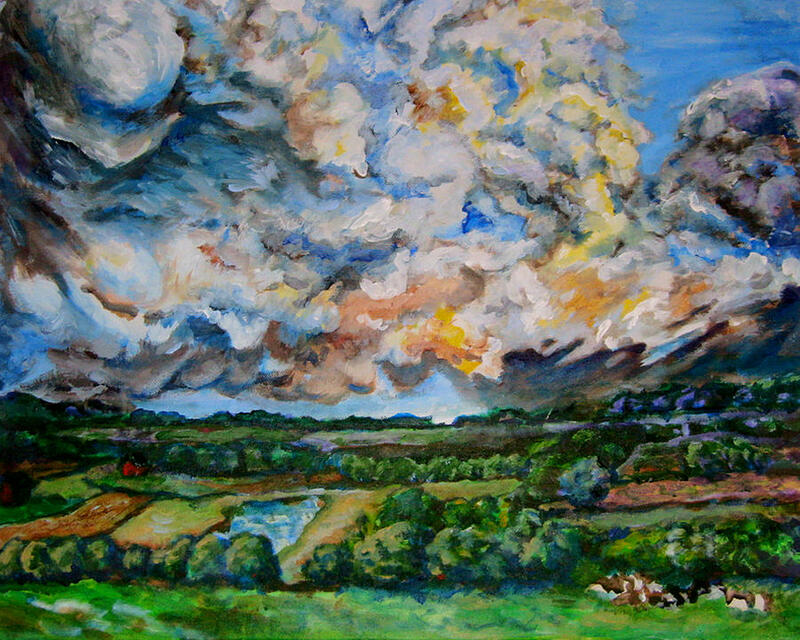 Thor's Delight is a painting by Laura Heggestad which was uploaded on January 15th, 2010. There is a thrill in my heart when I hear the grumble of thunder. The wind before a storm is charged with both the scent of oncoming rain and an exciting charge of energy. There is a lot of great rural terrain near my home where I can find huge stretches of land meeting sky. The title developed from a comment from someone who had attended the first art show where I displayed this work. She said, "Even Thor would be jealous of that stormcloud." And the title gives a good-humored nod to the Norwegian part of my ancestry which gave me my last name. As I mention in my profile, I can paint similar, original reproductions of this or any of my artworks. The intensity of your work is truly inspiring...thanks so much for sharing! Laura, this has such a beautiful, expressive sky. Hi Laura, its really Beautiful artwork, Congratulations!!! This is definitely one of your best paintings, quite excellent.